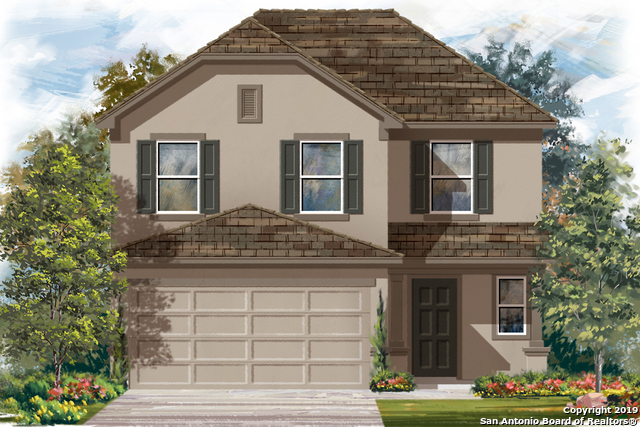 All CROSS CREEK homes currently listed for sale in San Antonio as of 04/22/2019 are shown below. You can change the search criteria at any time by pressing the 'Change Search' button below. "Elegant two story home loaded with upgrades. Shows like a model home in pristine condition. 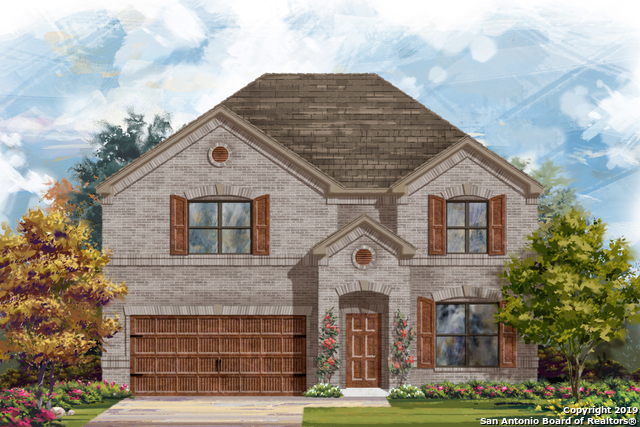 Built with comfort and convenience in mind, the home boasts spacious bedrooms, gourmet kitchen, open floor plan, living areas, game room, and a Luxurious master bath. Home is WIRED for surround sound speakers with in-wall speakers. Desirable school district and proximity to shopping, restaurants, and parks. Pride of ownership shows throughout the home!" 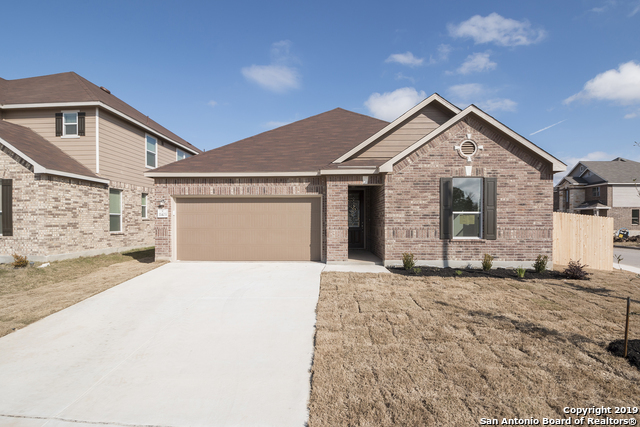 "Home features upgraded 8-ft. entry door, den with double doors, crown moulding at first floor living areas, rounded corners, additional windows at great room and butler's pantry, 2-in. faux wood blinds, Emser 18-in. Bristol tile flooring at entry, great room, kitchen and baths, upgraded Shaw carpet at bedrooms and loft, kitchen cabinet crown moulding, upgraded granite kitchen countertops with deluxe tile backsplash, upgraded Whirlpool kitchen appliances including double wall oven and cooktop,"
"4 BD/2 BA open floor plan home w/high ceilings in a great location. Eat-in kitchen features oversized, raised cabinets, solid countertops, can lighting, stainless steel appliances, and gas cooking. Master BD has beautiful arched doorways, spacious walk-in closet, and attached office/bonus room. Master BA boasts a large shower, dual sinks, makeup desk, and tons of extra storage. Covered patio, taking in greenbelt views w/mature trees. Privacy fence on sides, wire on back for views. Extra upgraded"
"Wonderful spacious home has open floor plan & located on a culdesac. Fabulous fenced back yard, oversized lot! 4 bedrooms plus study, 2 Living areas, 2 baths, two 1/2 baths, ample storage. Gourmet Kitchen offers granite countertops w/large island, walk in pantry, double oven, built in microwave, refrigerator, gas cook top. Huge master suite with sitting area. Master bath w/ whirlpool tub/separate shower. In Wall Pest, plumbed for water softener, 2 a/c units, Radiant Barrier. USDA eligible." "Home features full masonry exterior, stained 8-ft. entry door, crown moulding at first floor living area, Kwikset Tustin lever interior door hardware, Emser ceramic tile flooring at entry, kitchen, master bath and bath 2, Armstrong birch scrape wood flooring at master bedroom, alternate gourmet kitchen option with corner pantry, 42-in. 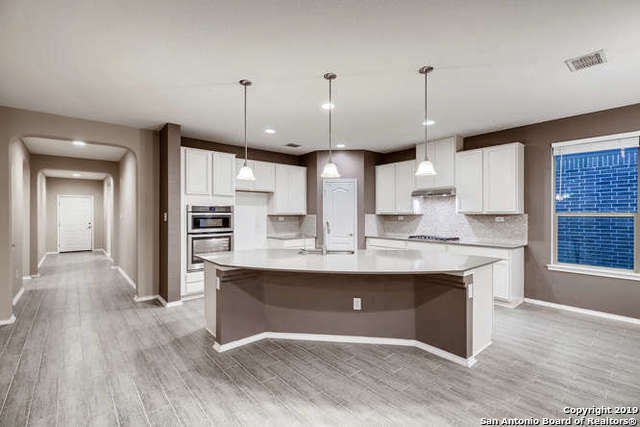 upper kitchen cabinets with crown moulding, extended granite kitchen countertops, Whirlpool combination microwave/wall oven, under cabinet hood, and 3-cycle d"
"The house comes complete with two living spaces, a welcoming kitchen, dining area, spacious yard & manicured garden. 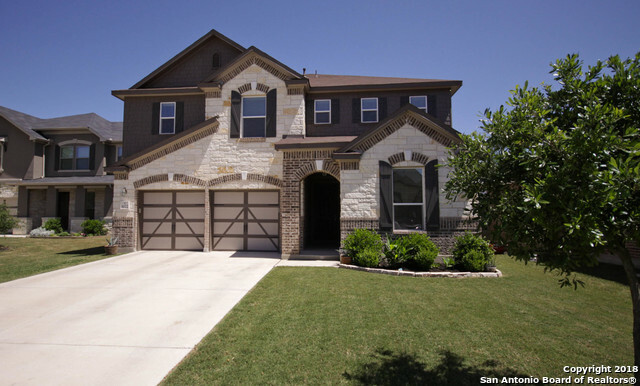 This 5 bed 3.5 bath retains the value of peaceful living while being conveniently close to shops, schools & 1604. This home reflects personality & taste for those accustomed to quality, design, finishes & lifestyle. The open floor plan flows through the kitchen to the master bedroom downstairs, & the remaining 4 beds upstairs ensuring privacy & space for everyone! This home won't "
"Home features upgraded Shaw carpet and pad at bedrooms and loft, Emser ceramic tile flooring at entry, great room, kitchen, and baths, kitchen island, Woodmont Cabinetry Windsor beadboard kitchen cabinets, extended flush granite kitchen countertops, master bedroom with double doors, raised vanity and water closet at master bath, upgraded Sherwin Williams interior paint, soft water loop, covered patio, wireless security system, and full sprinkler system." "Home features upgraded entry door, 2-in. faux wood blinds, Armstrong vinyl plank flooring at entry, great room, kitchen, and den, upgraded Shaw carpet at bedrooms, extended flush granite kitchen countertops with glossy tile backsplash, Whirlpool glass top range, microwave/hood combination, 5-cycle dishwasher, and side-by-side refrigerator, Woodmont Cabinetry Belmont kitchen and bath cabinets, Whirlpool HE top load washer and electric dryer, wireless security system, under-stair storage, soft"
"Convenient to Alamo Ranch Shopping. Top employers in the area Citibank, Chase, Wells Fargo, NationWide, Kohls, Lackland AFB, Christus Santa Rosa Hospital, Warm Springs, Frost Bank, Hartford, NorthWest Vista College, Port SA & Sea World."